1799 Newspaper Announcing Death of George Washington: Free Download! The old Colonial newspapers let us look back and see our country’s news as it happened. We get to see the early American history as it unfolded in our ancestors’ day. Imagine the utter shock in 1799 upon hearing the grim news that General George Washington was dead—America’s military leader during the Revolutionary War and the nation’s first President. George Washington died on Dec. 14, 1799, at the age of 67. The people would have been galvanized by the news of President Washington’s death. They would remember exactly when and where they were when they first heard about it. They would go and get a newspaper to learn about how George Washington died and get all the details surrounding his death. Then they would read the newspaper, read it again, and save it for their children and grandchildren. They would never forget this tragic loss in our country’s history. Here is a copy of the Colonial newspaper that area residents of Harrisburg, Pennsylvania, read cover to cover to learn about the death of George Washington. It was published by the Oracle of Dauphin and Harrisburgh Advertiser (Harrisburg, Pennsylvania), 30 December 1799. 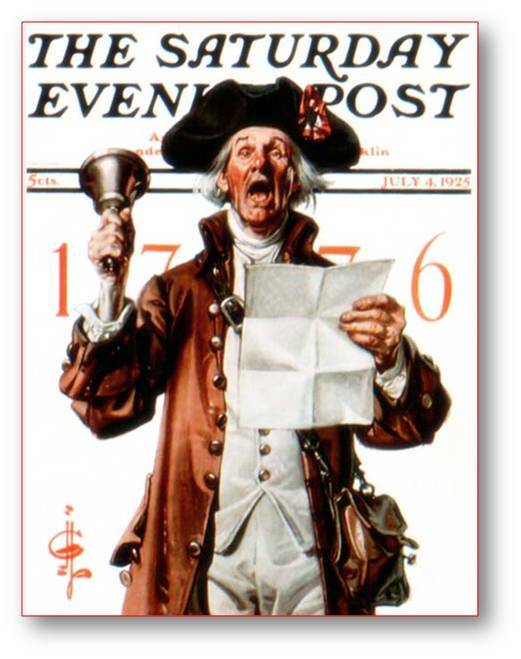 Most of this historical newspaper issue is about the death of George Washington. It includes his obituary, information about his funeral and much more. Today is a federal holiday originally enacted by Congress in 1879 to close government offices in the District of Columbia, at the time known as “Washington’s Birthday.” In remembrance of President George Washington on this Presidents Day 2012, we are offering a free download of this important early American newspaper that covers his death.